Volume 1 of The HaLo Project - The Magic of Harry Lorayne is a new release from Rudy Tinoco and The Magician's Forum, and available from his site for $10. This 50 minute video teaches five hidden gems from the works of Harry Lorayne, and is the first of what will be a series of videos featuring his card magic. The impact of living legend Harry Lorayne on card magic is profound. Currently in his 90s, Harry Lorayne is one of the biggest names of card magic from the second half of the 20th century. As testament to his success is the fact that he's sold more than 17 million copies of over 40 books in the two main areas of his expertise: memory training, and card magic. One of the top showmen of his time, he also has wonderful reputation as a teacher of magic, and has published a large number of classic works on card magic. Harry Lorayne emerged from a difficult childhood with a love for card magic, and when he combined this with his natural talent as an entertainer, in due time he reached the pinnacle of his craft. But along with this success came a gift to teach, to create, and to write, and over time he has become one of the leading names in card magic from his era. Throughout his life he has produced a large volume of influential material on card magic. Perhaps his best loved books are the one on magic for beginners, The Magic Book (1977), and his first work on card magic, Close-Up Card Magic (1962), which are regarded by many as his most influential and best works. 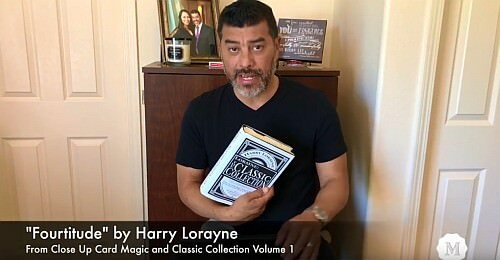 Thousands of magicians have got their magic career started with Harry Lorayne's books on card magic, and many famous names in magic today consider themselves in Harry Lorayne's debt for the influence his work has had on them. 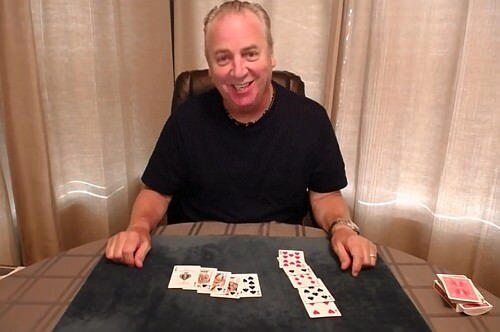 Harry has continued to produce new material despite his advancing years, and his two most recent publications were two excellent collections of card tricks, Jaw Droppers (2015) and Jaw Droppers Two (2017). He's currently working on what he considers to be his last written work, And Finally, which is expected to be released and available before the year end. Harry has produced a few videos, and even as recently as 2016, he produced a Jaw Droppers lecture to coincide with celebrations of his 90th birthday. This included some great performances of some of his favourite routines that have become Harry Lorayne classics over the years, as well as some new material. You can read my detailed review (including some free video clips of some of the routines performed) of the Jaw Droppers lecture here. Mr Lorayne is still around, and is still active posting on various internet forums from time to time. But the problem is that one day all we will have left is the legacy of his written work. And there's so much content here, how can you find all the good stuff? There are a lot of gems that are buried in his books and which haven't really hit the public eye or received the attention they deserve. 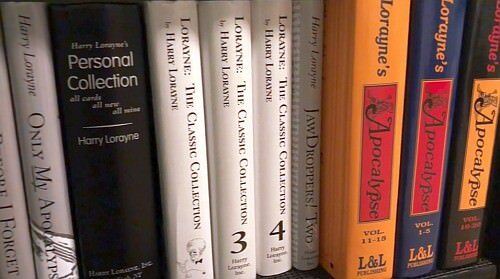 But how are you ever going to find these without some help, especially since not all of Harry Lorayne's many books are readily available or in print? That's why the HaLo Project is fantastic news. The HaLo Project is the brainchild of magician Rudy Tinoco, who manages The Magician's Forum, an online discussion portal for magicians. Rudy has developed a friendship with Harry Lorayne, who has kindly given him permission to perform and teach any of the tricks found within his books. So the goal of this project is to uncover many of the hidden gems that can be found within the pages of Harry Lorayne's books, and present and teach them on video, with the help of Rudy and some of his friends from The Magician's Forum and elsewhere. Many of these tricks are often overlooked simply because of the volume of material Harry Lorayne has put out, or because they are from older books and have never been seen on video before. Rudy himself isn't the only one making this happen, and he's been able to get some help from some big names. As part of this series, he's managed to conscript magicians like Paul Gordon, Mike Powers, and even Michael Vincent as part of the cause; they'll all be contributing a video performance and explanation. So while the first volume just features Rudy teaching four of the tricks, with one other trick taught by Johnny New York, the outlook for follow-up volumes is even brighter. So what do you get with the first volume? This video runs for 50 minutes, and includes the following five routines: "What Are the Odds? ", "Relationships Plus Royal", "The Sting", "Fourtitude", and "Easier 6-Card Royal". This is a delightful Harry Lorayne variation of the Tantilizer effect found in Royal Road to Card Magic. It's probably my favourite of the set, and as you can tell from the reactions of the spectators in the performance video, it's a very fun and strong routine! This is based on an effect called "Relationships" found in Best of Friends Vol 1, as revised by Harry and Rudy. A card is selected and a lucky number generated, which is used along with some spelling and dealing to produce the chosen card, plus the four Aces, and finally a royal flush! This video is the single contribution from Johnny New York in the collection, with all the other tricks taught by Rudy Tinoco. 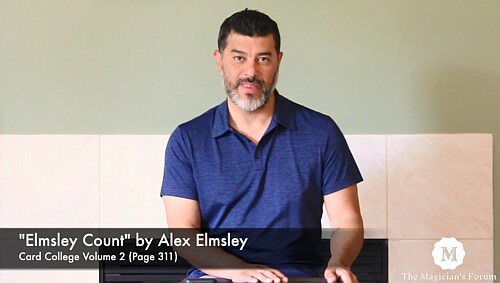 It is a lovely oil and water routine, although Harry himself did originally teach this on his Best Ever Collection series - the routine as originally performed by Harry can be seen here. This was originally found in Close Up Card Magic. Three cards are selected, and one of the cards helps find the other two, in a mysterious and magical manner. Don't be fooled by the fact that the spectators in the performance video seem a little underwhelmed! This comes from Jaw Droppers, with Harry's fondness for poker hands coming out in the finale of this trick! He found a way to make an existing trick easier by eliminating an Elmsley count. I really liked the format used for each trick, where the presenter begins by first introducing the effect and saying something about it, then the performance, then the explanation. I also loved the fact that Rudy's performances were with actual spectators. Not every digital magic video download has that nowadays, and it really helps improve the overall quality and impression. Hopefully we'll see that continue with further volumes. The video quality is pretty good considering that professional recording equipment isn't used. I've seen videos sold by magic retailers that had worse quality, because they were filmed by the magician themselves! Rudy's skills in video editing and overall formatting also help make this more professional. There are helpful annotations that help give added clarity, such as text bars showing the name of the trick, where it is found, and occasional others helpful pointers. Obviously this is not a high end production with multiple camera angles and top-of-the-line footage. But in my opinion it is more than adequate, and bridges the gap between `clearly amateur' and `high end professional filming', and falls in the middle somewhere. Certainly everything is clear enough to follow, and at no point did I find myself frustrated by the filming, or feel that it became a barrier to following the instruction. The explanations are briefer than a lot of professionally released videos, but that's fine. This series is not targeting beginner magicians, so it's entirely fair to assume a working knowledge of basic sleights. For example, at one point during the tutorial section of the video Rudy mentions a tilt, and only a brief explanation is provided of how this move works. But that's no complaint, because this is geared to those who can be expected to know the fundamentals of card magic. 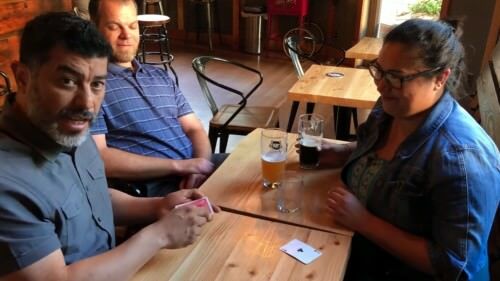 If you want to learn card sleights, look elsewhere. In fact, for a series of videos like this, brevity about the sleights might even work best, because the whole aim is to teach a trick, and not teach sleights or moves - you can always look elsewhere to learn that. So while the explanation is rapid, it's more than enough for experienced card workers to follow, and the explanations of sleights that are included are quite adequate. 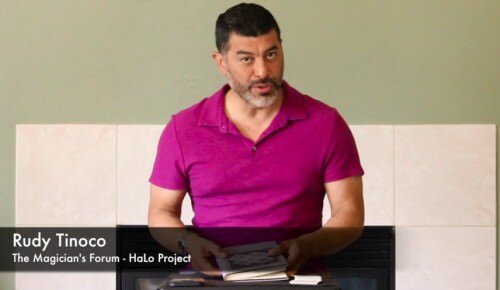 One additional benefit that comes with purchase of the video is access to a special section over at The Magician’s Forum, where magicians can discuss the items contained in volume 1 (and future volumes) of the HaLo Project. This is a password protected section on the site, but to keep things simple and streamlined, access to this uses the same password used for accessing the video download. This gives a great opportunity to get added tips and handlings, and even Harry Lorayne himself is an active contributor, so you can get insights and hear directly from the great man himself! 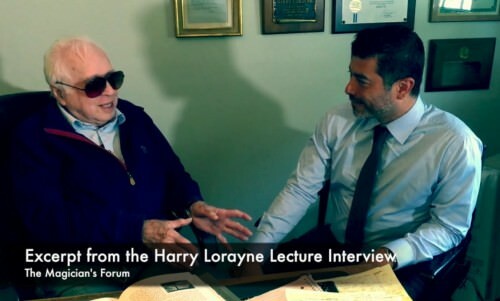 Following the final trick, there is a six minute excerpt from the interview Rudy did with Harry Lorayne as part of the 2016 Jaw Droppers Lecture. I think that it is a lovely touch to include this, because it helps give some insights into what makes the man tick. At this stage it is uncertain how long this project will last, or how many videos will be produced as part of it, although the current plan is to produce a new release on a monthly basis. If there is real interest, such interest will prove to be a real incentive to continue the project with further volumes. After all, we all know that Harry Lorayne has produced enough material to keep a project like this going for years! But both Volume 2 and Volume 3 are currently in the works. Rudy tells us that for Volume 2 we can look forward to a trick from Harry's book "Reputation Makers", which Rudy is convinced is one of the best card tricks that he's ever learned. It will also include "Color Gathering Plus" from JawDroppers (see a performance video here), "Sandwich Locator", "Royal Impossibility", and Paul Gordon teaching one of his favorite Harry Lorayne creations. So good things are in store! So, where do you get this, and how much does it cost? Volume 1 costs $10 (Inner Circle members of the Magician's Forum get a reduced rate of $8). Upon sending payment to the themagiciansforum@gmail.com via PayPal, you receive via email a link to a password protected Vimeo page, and from here you can watch it via streaming video or download the video onto your computer. Pricing is always a tricky matter, because it's easy to make the mistake of erring on one of two sides, either by being too expensive so that nobody buys a product, or being too cheap. Considering that the download comes with five tricks, I think that a price point of $8 for inner circle members of The Magician's Forum is quite reasonable. Nowadays a lot of digital downloads go for around the $10 range, and often these are individual but strong effects and come with 15-30 minute videos. On the other hand for around the same amount you also get lectures like the At The Table series, where you sit down with a magician for two hours and learn a number of different effects. $8 seems quite fair consider that it is solid and proven material from Harry Lorayne, and you're not just getting one effect but learning five tricks, plus you get access to password protected forums where you can discuss these with the man himself and with other magicians. Harry Lorayne has made an important contribution to the world of card magic, and even though his hey day as a performer lies behind him, the magic community today is blessed to be able to benefit from and learn from his written work. 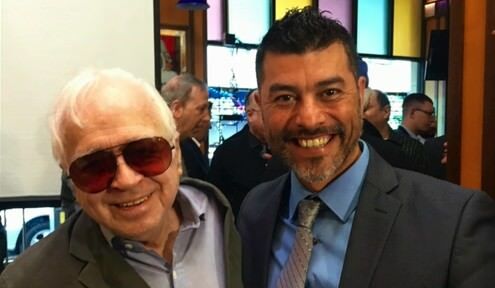 I applaud Rudy Tinoco and the others behind the HaLo Project for their efforts to make sure that he and his magic will never be forgotten. To be fair, as good as the performers and teachers are, the magic doesn't sparkle quite as much as when Harry himself performs it. He is, after all, a performer and entertainer par excellence, and few can match his natural talent! Even so, the tricks he's come up with over the years are fantastic, and I'm very pleased that we have a team of people working on digging up some real treasure from the dusty pages of his books, so that a new generation of magicians can benefit from his magic, and keep the spirit of Harry Lorayne's card magic alive through his work. As such, I love the name "HaLo Project" that has been chosen for this video series. It is a wonderful tribute to Harry himself, not only incorporating his name, but it's also a designation already familiar to anyone who has come across one of his signature and favourite effects, the HaLo Aces. The HaLo Project is a fine addition that will ensure that his personal legacy is preserved, while at the same time unearthing some great card magic for card magicians around the world to enjoy and perform. Ender, as usual an amazing and well written review. Very fair and very much to the point. I purchased the DL as soon as I read about it and have not been disappointed. It’s a terrific video! Similarly, I read your review as soon as it was posted— and not disappointed about that either. I look forward to every review you write and the care you put into them. Thank you so much for the sacrifice of time and energy that you put into this and all of your reviews. It’s so thoughtful and well done. It is in itself, a tribute to Harry. I believe that your review is spot on and gives your readers an accurate assessment of the HaLo Project’s overall quality.